Complementary and Alternative MedicineOffices of Chiropractors fall within the complementary and alternative medicine sector. Complementary and alternative medicine (CAM), as defined by the National Center for Complementary and Alternative Medicine (NCCAM), is a group of diverse medical and health care systems, practices and products that are not considered part of conventional medicine. Practices such as chiropractic, yoga, massage, prayer and meditation are some of the most used CAM therapies. In addition to chiropractic manipulation, interventions and treatments falling under the category of manipulative and body-based practices include osteopathic manipulation, massage therapy, Tui Na, reflexology, rolfing, Bowen technique, Trager bodywork, Alexander technique, Feldenkrais method and many other techniques, according to a 2004 NCCAM publication.Back problems, sprains and strains are the major complaints causing patients to seek assistance from the chiropractic community. 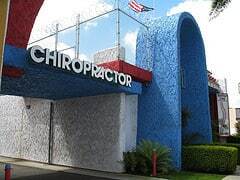 Offices of Chiropractors are comprised of establishments of health practitioner establishments having the degree of Doctor of Chiropractic, (DC). Chiropractors are engaged in both group and independent practice of chiropractic medicine. Practitioners provide diagnostic and therapeutic treatment of neuro-musculoskeletal and related disorders through the manipulation and adjustment of the spinal column and extremities. Services are offered in private or group practices (e.g., centers, clinics) hospitals, fitness centers and spas. From a holistic perspective, the chiropractor considers the patient’s overall health and wellness in diagnosis and treatment. The chiropractic philosophy acknowledges many factors affecting health, including exercise, diet, stress, environment, and heredity. Educated in the body’s intrinsic recuperative abilities, chiropractors emphasize natural, non-prescription, non-surgical health treatments. While they do not prescribe drugs or perform surgery, Doctors of Chiropractic often recommend changes in lifestyle — eating healthy foods, exercising regularly, and developing positive sleep habits to their patients. Integrated with mainstream medical practice, chiropractors reciprocally refer patients to medical doctors. Areas of specialization in the chiropractic profession include: Chiropractic Sciences, Neurology, Nutrition, Occupational Health, Orthopedics, Pediatrics and Radiology. Rehabilitation and Sports Chiropractic are the fastest growing specialties. Diet-based therapies (such as Atkins, Pritikin, Ornish, and Zone diets), 4 %. Most patients (76%) see a chiropractor for back pain, including 27% for neck/cervical; 22% for low back pain; and 21% for back/spine. Extremity problems accounted for 13% of visits.3 Patients are also seen for other ailments such as injuries, nervous system disorders and non-traumatic joint disorders. However, these treatments make up a small percentage. Source: The Future of Chiropractic Revisited 2005 – 2015. Institute for Alternative Futures, 2005. p.35. Expenditures for the startup of a new practice vary widely depending on building or remodeling needs, square footage, geographical location, fixtures, etc. Estimates range from $20,000 to $100,000. One 1996 archived article from The Chiropractic Resource Organization5includes the following calculations: Build-out costs average at $50 per square foot. A $50,000 cost for a 1,000 square foot office space included construction of walls, doors, ceiling, carpet and paint. Adjusted for inflation, the initial $50,000 estimate has increased to just over $62,000. Additional startup expenses besides the operations budget include living expenses before the office opens and enough money to sustain the practice until a positive cash flow is realized. Source: 8th Annual Salary and Expense Survey. Chiropractor Economics. 2005. Chiropractors most often offer body manipulation, utilizing a wide variety of techniques. However, by providing an even greater number of convenient services, today’s chiropractor places patient needs first by providing innovative in-house services. Based upon a holistic approach to each patient’s individual treatment, chiropractors are clearly diversifying by offering many of the following popular therapies: physical therapy, nutritional counseling, weight management, acupuncture, and homeopathy. Additionally, patient exercise and massage are also readily available in offices of chiropractors. Eighty-three percent of practitioners work full time. Eighty percent own their practices; 8% are contractors; 8% are partners; and 1% are employees. Twenty-three percent describe their practice as a specialty; 28% describe it as a general practice; and 47% describe it as both. Thirty-seven percent of practitioners report an annual income in excess of $200,000 and 41% reported an annual income between $80,000 and $200,000. While dialog continues on traditional vs. alternative medical philosophies, the general outlook is good for growth in the chiropractic arena. According to the Bureau of Labor Statistics (BLS), employment of chiropractors is expected to grow faster than the average for all occupations through the year 2014. Growth in this sector mirrors demand by the increasingly health-conscious consumer who seeks alternatives to prescription drugs and invasive surgical procedures.8 Research studies finding objective, positive results of chiropractic diagnosis and treatment have contributed to improved awareness and acceptance of this field. The growing health-associated back, neck and joint ailments of the elderly will also contribute to the demand for chiropractic expertise. Benefit coverage of chiropractic care is an important trend and continues to increase. Currently, coverage is offered in Medicare, Medicaid, Federal Employees Health Care Benefits Programs, Federal Workers’ Compensation, Departments of Defense and Veterans Affairs, approximately three quarters of employer health programs and all state workers’ compensation programs. Source The Future of Chiropractic Revisited 2005 – 2015. Institute for Alternative Futures, 2005. p. 13.